There has been a little more progress on the Yard Office. I have added some bargeboards. 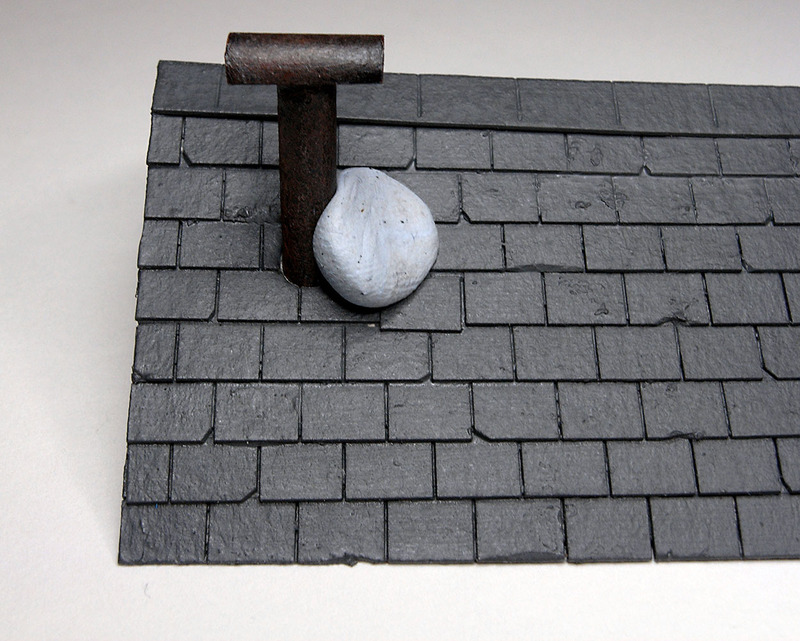 They were painted in blue, weathered by dry brushing with grey and brown, and finished with a wash of diluted black. 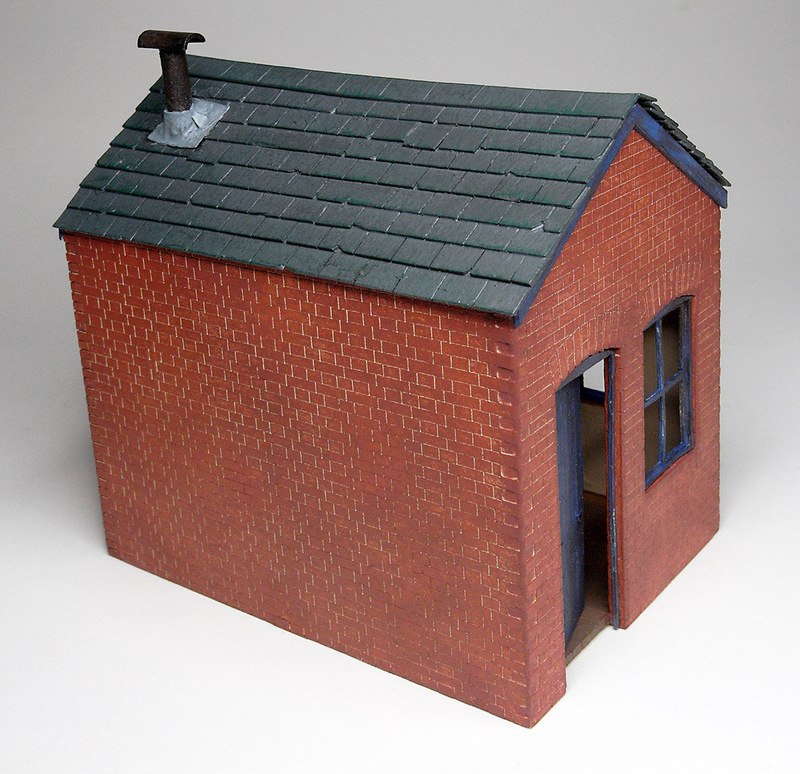 A stove pipe chimney has been added to the roof. To cut the hole for the pipe I used a leather punch. It worked surprisingly well, cutting through the layers of cardboard easily. 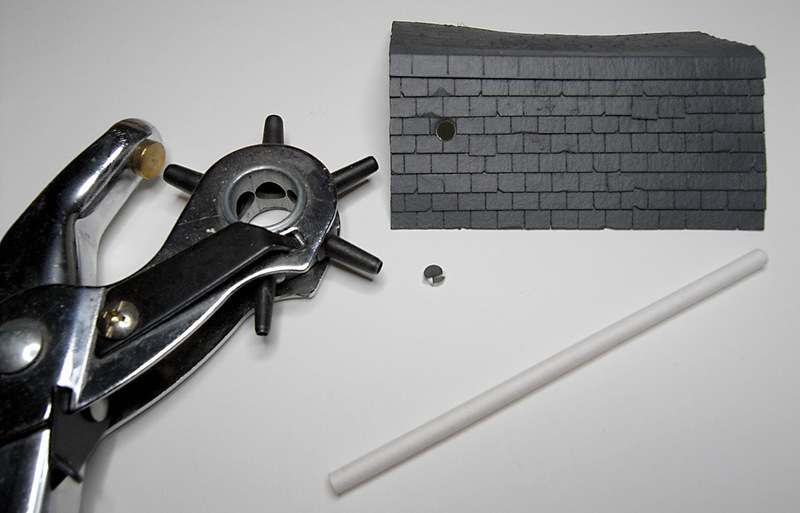 The chimney itself was made from an old lollipop stick, topped with a piece of styrene tube that had been cut in half lengthwise. It was painted black and weathered in exactly the same way as the bargeboards, except that the wash of black paint was less diluted. To fix it in place I opted for the ‘big blob of glue’ approach. It isn’t pretty, but it works and it will be hidden from view. 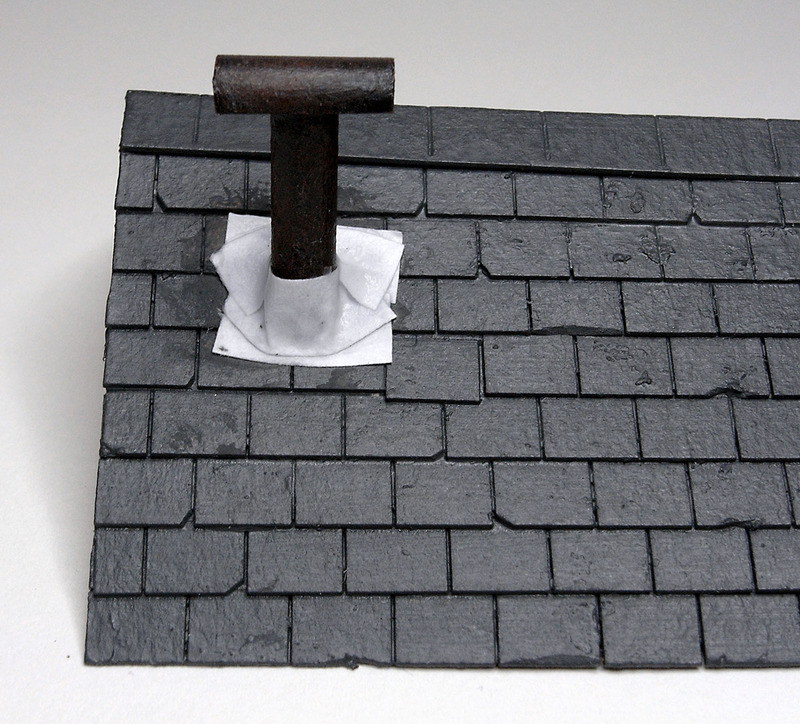 The lead flashing around the chimney pipe was made from some small pieces of paper that were soaked in diluted PVA and laid around the chimney. 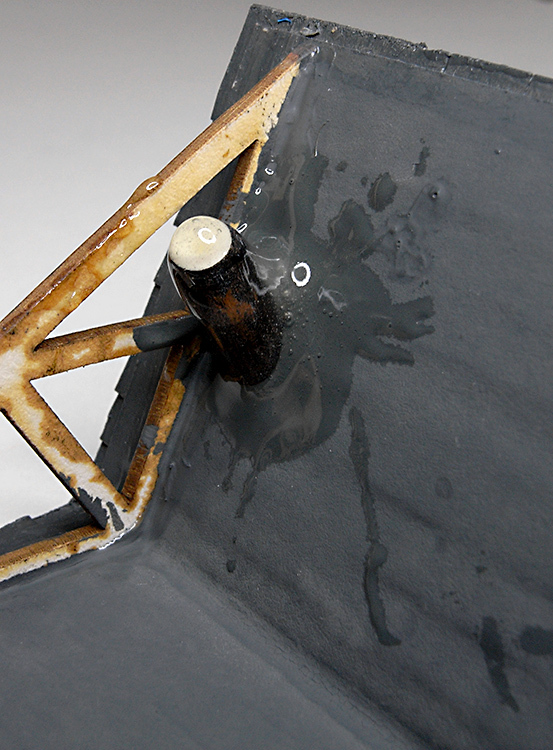 When the glue had dried it was painted with Humbrol 145 which seems to be a close match to the colour of lead sheet. Later, I dry brushed the leading with a lighter grey (Citadel Ulthuan Grey) and dry brushed the tiles with a dark green (Citadel Caliban Green). 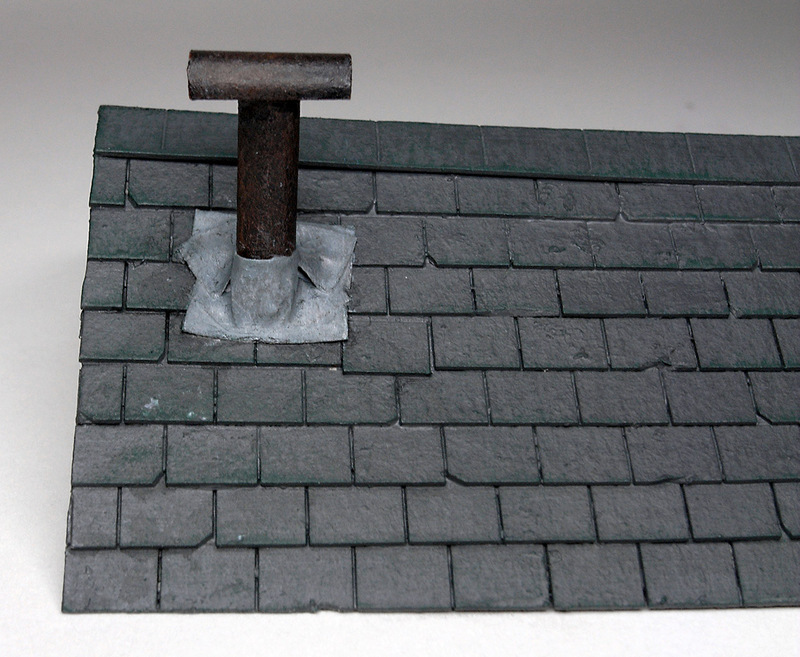 Finally, I covered up the spots of light grey on the roof tiles. 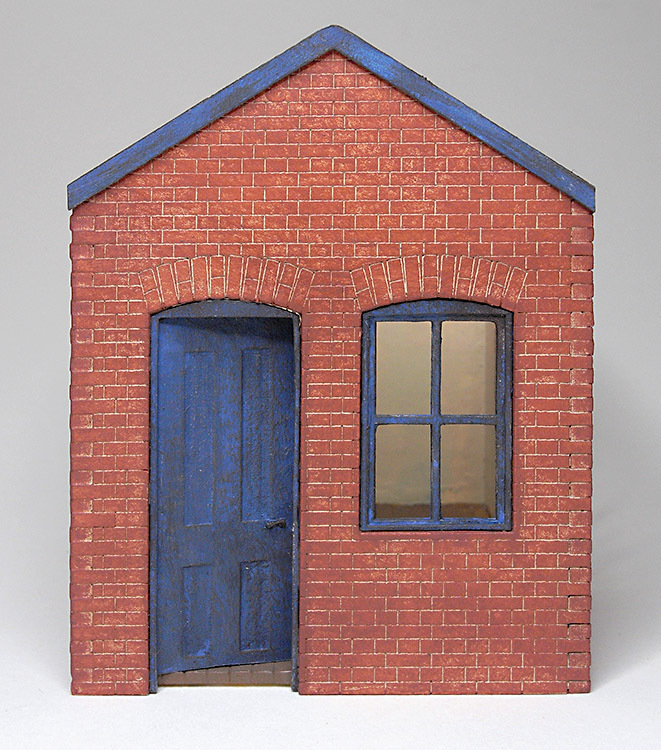 For me, this is the type of modelling is very enjoyable. You have to think about the details you want to add, figure out how to make them from ‘bits and pieces’ and experiment to see if it works. Best of all you get results quite quickly. It’s a lot of fun and very rewarding!